The cultural organization Jnanapravaha Mumbai was the site of the conference “Mountstuart Elphinstone: Between Local and Global Forces” on April 20-21, 2017. The conference, which was organized by Professor Shah Mahmoud Hanifi of James Madison University and co-sponsored by AIIS and other overseas research centers in South Asia, brought together 28 scholars from Afghanistan, Bangladesh, India, Nepal, Pakistan, Singapore, Sri Lanka and the United States. The purpose of the conference was to examine the enduring intellectual and political impact of Mountstuart Elphinstone (1779-1859) through consideration of the knowledge formations he represented and those he engaged in South Asia. 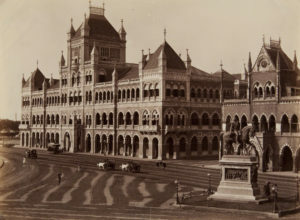 Elphinstone is most widely recognized for his highly transformative tenure as Governor of Bombay (1817-29) and his influential History of India (1841). While he is well known as a foundational figure in the early intellectual and political history of British India, Elphinstone is less widely recognized as a pioneer in the field of Afghanistan Studies. AIIS sat down with Professor Hanifi to discuss the resonance of the themes of the Elphinstone Conference in modern-day globalized South Asia. 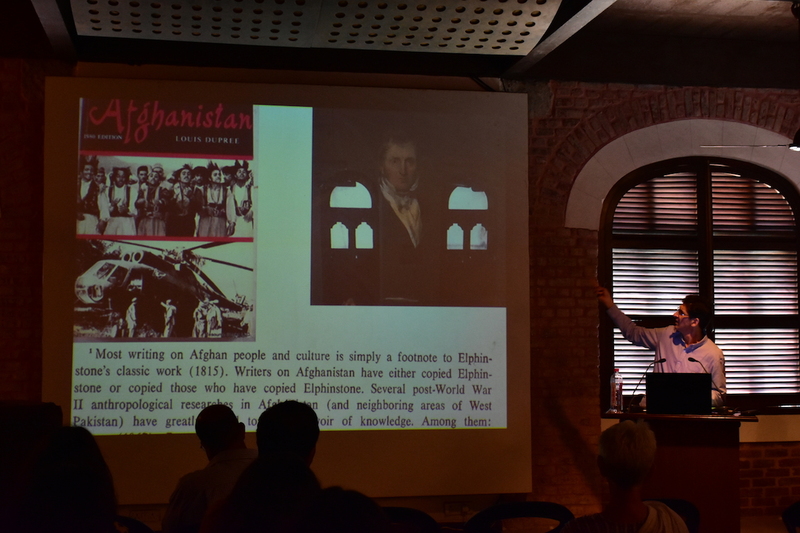 AIIS: The conference emphasized Mountstuart Elphinstone’s role in the intellectual history of British India, and brought attention to his similar role in what is now Afghanistan Studies. What makes these topics particularly relevant today – globally, nationally in India, and locally in Mumbai in 2017? SMH: Mountstuart Elphinstone lived in ‘fast moving’ history when major transformations of the global order were occurring rapidly while he engineered and participated in substantive changes then taking place in South Asia. Today, it can be argued that Afghanistan and India remain a closely connected pairing that helps to give the regional and thus global order its shape. As such, reflecting on Elphinstone provides important comparative insights to examine the ideological and mechanical foundations of the current world system. Elphinstone wrestled with questions about cultural identity, political rights, crime and punishment, the purposes and structure of public education, imperialism, and how to read history that continue to resonate globally and locally in today’s fast-changing times. In India volatile questions about the funding, nature and purpose of public and private education are being actively engaged, quite unfortunately at times very violently. Today in Mumbai the relationship between state-based educational institutions, private schools, spaces for public knowledge, and local research conditions and opportunities give intellectual substance and texture to the city Elphinstone helped to create. As far as organizing the conference, what innovations in collaboration were required to match the conference’s focus on the institutionalization of colonial knowledge? To organize a conference of international scope with multiple institutional sponsors in Mumbai required both innovation and constant readiness to innovate on my part as well as from Purnima Mehta and the AIIS staff in both Delhi and Pune, Rashmi Poddar and her staff at Jnanapravaha Mumbai and Dr. Lee Sternberger at James Madison University. The collaborative innovations I pursued as conference organizer involved primarily appealing to the expansive and connective potential of the co-sponsoring organizations. I did so most routinely by tailoring the theme of knowledge production for each organization and trying to demonstrate how each sponsor could help to build unique bridges between local, regional and global forms of knowledge. How can this model of collaboration be applied to other and future scholarly collaborations? As far as AIIS is concerned, I think there are two realms where collaborations such as those that gave rise to the Elphinstone Conference can be broadly replicated. The first is with other Overseas Research Centers, and here it should be noted that inter-ORC collaboration has resulted in multiple conferences (on water and climate in 2011, Sufism in 2014, and South Asian cities in 2016), the point being that these collaborations were extremely productive and they could usefully occur with more frequency or regularity. The second is with the growing layer of non-state universities such as Ashoka University that is hosting the 2018 Association of Asian Studies Conference-in-Asia, and Jnanapravaha Mumbai that hosted the Elphinstone Conference as part of its Community Engagement programmatic rubric. AIIS is already actively working on a number of projects, such as the Service Learning Initiative, that will broaden the range of potential institutional collaborations in the future. How do your own research and intellectual interests tie in to the conference themes? The conference is organically related to my career-long work toward expanding the scope of Afghanistan Studies by focusing on inter-regional and global historical connections. This work began in graduate school when I benefitted from a Council of American Overseas Research Centers Multi-Country Fellowship and a Social Science Research Council doctoral research grant that took me to archives in India and Pakistan. Cultural comparison and comparative history emerged as organizational rubrics to help me understand Afghanistan’s location in and in between Middle Eastern and South Asian Studies, and at its core the Elphinstone Project is anchored in comparative studies. What personal and intellectual benefits did you derive from the organization of and participation in the conference? I personally benefited from the conference in a number of substantive ways. In the first instance, I was enriched by re-reading Elphinstone’s seminal texts on Afghanistan and India that I first encountered as a graduate student. I also reaped long-term personal and intellectual rewards from engaging the multiple institutional sponsors and participants, and facilitating communication and interaction among all parties involved. I am writing en route to Mumbai to pursue future collaborations involving research, study abroad and faculty exchange opportunities with Elphinstone College, Jnanapravaha Mumbai, the Maharashtra State Archive and the urban research collective PUKAR. I am now working with PUKAR to have that highly reputed organization serve in a kind of mentoring or tutor ‘sister’ organization capacity for a similar local urban research that is now taking shape in Kabul. I am particularly gratified that the Afghan delegation had a chance to interact with professional peers from throughout South Asia, as it appears the Mumbai conference could have been the first time a consortium of arts and humanities-focused scholars from Afghanistan participated in an international academic conference held outside of the country. What are the future plans for the conference? I should note that the conference in Mumbai was designed for scholars from South Asia and that it was the second international conference on Mountstuart Elphinstone that I organized. The first Elphinstone conference was held in London in 2015 and was designed primarily for scholars from the U.S. and Europe. The edited volume resulting from the first conference will be published by Hurst & Co. and will be released in early 2018. The Mumbai papers are currently undergoing revision for publication in another edited book. The Pakistani participants in the Mumbai conference have launched plans for a third Elphinstone conference at Peshawar University within the next two years, and members of the Afghan delegation to the Mumbai conference are working toward a fourth and final gathering in Kabul within four years time. 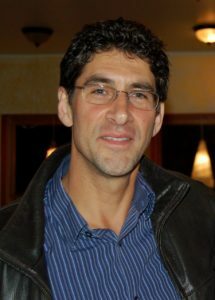 Shah Mahmoud Hanifi is Professor of History at James Madison University.